San Francisco and Oakland are suing some of the world’s largest oil and gas producers, including the Chevron Corporation. The cities claim these companies are responsible for climate change, and are demanding compensation for environmental damage caused by their products. The suits, filed separately in Alameda and San Francisco counties on September 19, say Chevron, which operates a refinery in Richmond, and four other defendants—BP, the ConocoPhillips Company, the Exxon Mobil Corporation, and Royal Dutch Shell—not only produce the bulk of the fossil fuels responsible for climate change, but also that the companies know their products cause “catastrophic” and “severe” impacts on the global climate. The cities accused the companies of creating a public nuisance. Each lawsuit seeks a court order requiring the five oil and gas companies to pay into an abatement fund, which would help finance the building of sea walls and other infrastructure needed to deal with rising water levels in the Bay Area. Although the suits do not ask for a specific dollar amount, San Francisco City Attorney Dennis Herrera estimated the damage to public and private property from bigger storm surges and higher tides could be more than $40 billion. A report published in April by the state’s California Ocean Protection Council Science Advisory Team projects .3 to .8 feet of sea-level rise by 2030 if fossil-fuel use goes unchecked. By 2100, sea level along San Francisco’s coast could rise up to 10 feet. “As a city surrounded by water on three sides, San Francisco would be devastated by this increase,” Herrera said during a press conference to announce the suits. In Oakland, sea level rise of that degree would threaten to put large parts of the city’s flatlands, including Jack London Square and the airport, under water, City Attorney Barbara Parker said during the press conference. The suits cite a 2015 report published by Inside Climate News that revealed Exxon’s own scientific researchers confirmed fossil fuels’ role in climate change four decades ago, well before most of the world had heard of the looming environmental crisis. “There seems to be no doubt that the potential damage to our environment could be severe,” the API report concluded. Yet, each defendant decided to continue its conduct and commit itself to massive fossil fuel production, the suits read. “This was a deliberate decision to place company profits ahead of human safety and well-being and property, and to foist onto the public the costs of abating and adapting to the public nuisance of global warming,” the suits read. Spokespersons for Chevron and Shell would not discuss specifics of the lawsuits, but said the cities’ efforts were not constructive. “Chevron welcomes serious attempts to address the issue of climate change, but these suits do not do that,” Chevron spokeswoman Melissa Ritchie wrote in an email. Daren Beaudo, a spokesman for ConocoPhillips, declined to comment, and representatives from BP and Exxon could not be reached. The Bay Area suits are the latest efforts to hold fossil-fuel companies accountable for damages wrought by rising seas. In July, Marin and San Mateo counties, along with the city of Imperial Beach in San Diego County, filed similar lawsuits against 37 oil and coal companies, including Chevron, ExxonMobil, BP and Shell. Most attempts to litigate against oil and gas companies have been unsuccessful. In 2008, the Alaskan village of Kivalina, which needs to be relocated because of flooding, sued five oil companies, one coal company and 14 electric utilities. The case failed, though, when a district court ruled it was politically motivated and did not belong in the courts. Another, brought by California against six automakers, had a similar outcome. Herrera and Parker said their lawsuits’ simplicity makes them different. Rather than deploying staff time and resources on a lawsuit of this nature I’d prefer for both cities to put that energy into addressing the very critical, visible and unhealthy conditions associated with the severe homelessness issues in both cities. Regarding the lawsuit, is every single operator of a fossil fuel using vehicle going to be named as a co-defendant? 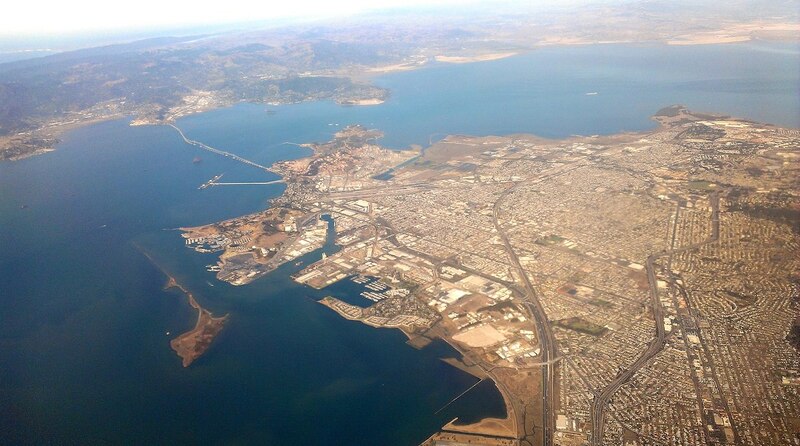 Is the Bay Area Air Quality Management District also going to be named in the suit? I barbecued a case of ribs in August, and I confess, some smoke did get in the air. Do I need an attorney too? I am an attorney for the International Brotherhood of Bovines Local 209. About that case of ribs….. I knew I should have kept quiet! Actually it was a case of portobello mushrooms. In any event you win the best reply award, LOL! Shhhh! Please don’t create confusion by injecting logic into the subject! I completely disagree with that statement. By and large these are very good people who are taking action to try and steer human activity away from the destruction of all life on Earth and towards a more sensible and sustainable way of life. These are the people who get the big picture and are doing something about it. They are to be commended for that not ridiculed. Why shouldn’t the oil companies pay for the harm they have done to our environment? How is this any different than the tobacco industry or the asbestos industry? Corporations should operate in the best interests of the public. If they do not they should be shut down. If they have damaged our environment then they should pay to repair the damage. Anyone who drives a car or takes a bus, or eats food delivered by a truck is totally complicit in this law suit. They all need to pay and pay they will. They can sue whoever they want, but it’s just going to come back on their own heads – in the price of fuel. The only winners will be the attorneys who litigate the problem. $ 40 billion will add about $ .50 per gallon to the price of fuel. Of course, I don’t expect it to end there. This kind of thing is just getting started. I expect it will double the price of gasoline and diesel by the end of the decade. It’s probably a good thing because higher prices will make those who are truly responsible for global warming change their ways. Higher prices = less driving and less economic activity. It will help to shift the emissions downward. What it will do to the standard of living of the average Joe may not be so good, but it’s a good way to start shifting away from our dependence on fossil fuel. It’s a process but SF is transitioning to more cleaner and energy efficient, making way for the rest of the world. Many folks in the bay have electric cars or scooters so gas with additional $.0.50 is not much of problem. I scooter around the city most of time needing only about 1 gallon of gas a week, and my car is electric.